Since 1988, Auntie Anne’s has provided shoppers and commuters across the United States with freshly baked pretzels. Founded by an Amish girl who had little official education and a knack for baking, Auntie Anne’s has grown from a small store to one of the biggest bakery chains in the world. When it comes to the pretzel, an all-American snack that few people can resist, it doesn’t get much better than Auntie Anne’s. Auntie Anne’s was founded by Anne F. Beiler in 1988. Anne, a native Pennsylvanian, was born into an Amish family. She spent her youth baking bread and other doughy treats for her siblings and her extended family, and she used this knowledge and this love of baking when she opened her first store aged 39. Many successful chains began with a unique recipe and an extraordinary product, and this allowed them to grow very big, very quickly. Such is the case with the secret recipes created by KFC and Popeyes, as well as the unique ice cream sold at the Cold Stone Creamery. However, things were a little different at Auntie Anne’s. In fact, the pretzels she sold were said to taste horrible. Luckily, the store didn’t do a lot of business in those early days, so it didn’t leave a bad taste in too many mouths. Anne adjusted the recipe, found one that worked and began to grow the brand from there. Anne’s official education had not extended beyond the ninth grade, so she wasn’t best poised for success in the business world. She didn’t have much of a financial backing either, so she wasn’t able to do much in terms of promotion. On the outside, it looked like Auntie Anne’s was destined to fail. Anne defied the odds though. Her pretzels proved to be so popular that she was able to succeed through word-of-mouth alone. And this, on top of the passing trade and the fact that few Americans can resist a freshly cooked pretzels, ensured that the business was a success. Auntie Anne’s is owned by Focus Brands, who acquired the chain in 2010. Focus Brands operates over 3,300 stores around the world, spread across many different chains. These include Auntie Anne’s, but they also include Cinnabon, Carvel and Moe’s Southwest Grill. It is just one of the many large food companies with several fast food chains to its name. In fact, while many of our favorite brands have started out as independently owned companies (and often companies that were founded on small loans and hard work) most are now owned by billion-dollar companies. In some cases, those independent chains have grown into billion-dollar companies of their own, giving them the power to then create a parent company with which they buy other food chains. Grab a drink and a snack to go at Auntie Anne’s. You can’t get much more American than pretzels, and you can’t find much better pretzels than at Auntie Anne’s. As a result, this is one of the most popular franchise chains in the United States, and one that everyone is familiar with. Auntie Anne’s bake fresh Pretzels and other baked treats every day, serving these to customers that pass the store and are lured in by the scent of freshly baked bread. Their Original Pretzels are one of their most popular items. These are cheap, simple and delicious. They might be a little too heavy on the salt if you’re trying to reduce your intake. But everything is okay in moderation. Auntie Anne’s also sell bite-size versions of their pretzels, as well as pretzel sticks. It’s not just about baked and salted bread either. They also create pretzels with a variety of toppings, including Pepperoni and cheese. You can also pickup a dipping sauce to dunk your bread in, and a beverage to wash it all down with. Auntie Anne’s makes its money from passing trade. It serves fresh pretzels to people who eat on the go, and it has a very small menu. As a result, there isn’t much to the Auntie Anne’s secret menu. It does exist though, and if you love these baked treats and you can’t get enough of this chain, then it’s worth checking out. 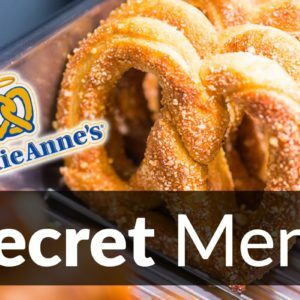 The Auntie Anne’s secret menu is not a traditional secret menu. It’s not like the Tim Hortons secret menu or the McDonalds secret menu. But there are hidden menu options to explore, and that, in essence, is what a secret menu is. Auntie Anne’s pride themselves on the fact that you can “count the number of ingredients on one hand”. That says a lot in an age when countless chemicals we can’t pronounce end up in the food we eat everyday. All Auntie Anne’s pretzels and other baked goods are made fresh everyday. They can be grabbed and eaten on the go, and are the perfect snack. They’re also a lighter and somewhat healthier version of a burger or a pastry treat, such as those found on the Cinnabon menu. They are not exactly healthy, but with just 340 calories in their Original Pretzel, you can’t go much wrong. That includes just 5 grams of fat, and you’ll also get a small dose of fiber. That’s the upside. The downside is that this 340 calorie snack will cost you over 40% of your Recommended Daily Intake of salt. If this is a problem, then you can reduce the salt by opting for their Pepperoni Pretzel. It may sound strange, but this has over 100mg less salt. It does have more calories though and it also contains more fat. There are no “healthy options” as such on Auntie Anne’s. If you’re watching your weight, then you’ll just have to limit your order size or opt for the smaller pretzels. 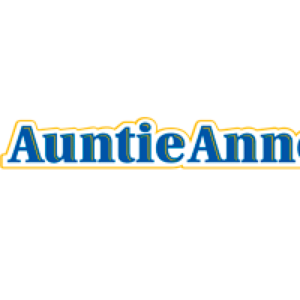 To learn more about this, to get a full nutrient profile of all Auntie Anne’s menu items and to see what your options are if you have allergies and intolerance, be sure to read our Auntie Anne’s Nutrition Info page. Auntie Anne’s prices are very cheap. This is fast, simple food to eat on the go. The prices can be low because the base ingredients aren’t very expensive, nor are they particularly perishable. It’s flour, water and fat, but when combined and baked, it creates something that none of us can resist. To get the most value for money, opt for a Auntie Anne’s Combo. These all come with dipping sauces, and you can get quite a lot for your money. For example, just $6 will get you a Pretzel Dog and a Soda of your choice. By itself, the pretzel dog costs less than $3.5. The same applies to their Pepperoni Pretzel, which is a popular menu item. You can get an Original Pretzel for even less. In fact, for $5, you can get two and still have enough left over for one of their dipping sauces. To see more prices, read our Auntie Anne’s Menu Prices guide. It’s not just pretzels on offer at Auntie Anne’s. These cheesy, doughy treats are just as tempting. Just four years after the first Auntie Anne’s opened its doors in Pennsylvania, they had 100 stores in the United States. Many of these stores, and indeed many modern Auntie Anne’s location, cane be found in shopping malls and in Walmart stores. Auntie Anne’s didn’t spend much on advertising in the early days, and while they can now afford to splash the cash, this emphasis on prime locations means they don’t have to. The customers queue up outside their door at the first sign of freshly baked pretzels. Most of the time the only thing they need to do to attract those customers is open the kitchen door and let the smells waft out. Auntie Anne’s can also be found in airports, amusement parks and everywhere else where there is a constant flow of foot traffic and hungry customers. In 1995, three years after opening their first store, Auntie Anne’s opened their first international location, in Indonesia. In the proceeding two decades, the brand continued to grow. As of late 2016, there are over 1,500 stores around the world, many of which can be found in North America. If you want to work your way to a managerial position, it just takes a little experience and dedication. If you drop by the Auntie Anne’s main website you will find an assortment of job opportunities. There are new locations opening all of the time and across the entire US, so there is no shortage of these available. There are options for simple server jobs, and there are also ones for those aiming a little higher. The good thing about brand like this is that those starting at the bottom have a better chance of making it to the top. If you have the dedication and the work ethic, and if you remain with the company from day one, then you will stand a great chance of making it to a corporate position. A speciality pretzel from Auntie Anne’s. 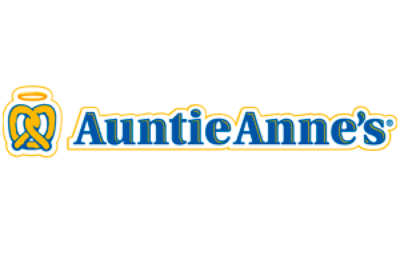 Because many Auntie Anne’s locations are in shopping malls, train stations, airports and other high traffic shopping areas, they tend to open in the morning and shut before the evening. In other words, they stick to the times of the mall, and to traditional working hours. Times vary by location though and you should check with your local store before paying them a visit.